Healthcare is at a crossroads. Global healthcare spending is expected to reach $8.7 trillion by 2020, according to Deloitte’s 2017 global life sciences outlook. In the midst of such growth, the industry is also poised for explosive digital disruption as uncertainty and complexity grip providers and patients alike. To help healthcare organizations address these challenges through the power of technology, Cisco unveiled a number of new products and services at the HIMSS17 Annual Conference & Exhibition in Orlando, Fla. The additions – including Cisco’s Digital Transformation for Providers Roadmap, Cisco and Pure Flashstack Storage Solution, Cisco® Beacon Point Location Solution and Cisco Umbrella Cloud Security Platform – enable innovative patient care, streamline workflows for care teams, optimize clinical and business operations, and ensure security and compliance while lowering total cost of ownership. The full portfolio offers healthcare organizations end-to-end solutions and uses the Cisco Digital Network Architecture (DNA) for Healthcare to support digital business processes. 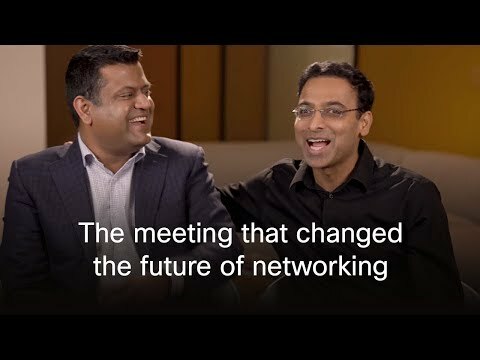 During the conference, healthcare innovators and specialists may also attend Cisco's 10th Annual Connected Health Summit on Tuesday, February 21, 2017. Co-sponsored by Optum, the event will bring guests together to share best practices for leveraging healthcare solutions to connect people, processes, data and things when and where they’re needed while maintaining security and patient privacy. Visit the Cisco booth (1850) at HIMSS17 to experience healthcare solutions that empower innovation by streamlining clinician workflows, enabling care-at-a-distance, and improving the patient experience.